Description: Carapace is purplereddish-brown with dentate lateral bands and dark margins. The abdomen is of the same colour with a dark grey cardiac mark followed by chevrons all of which are flanked with dark spots. Legs are greyish-brown annulated with dark grey. Size: Female 6-8.5 mm; male 5.5-6 mm. Genus: Liocranum L. Koch, 1866. 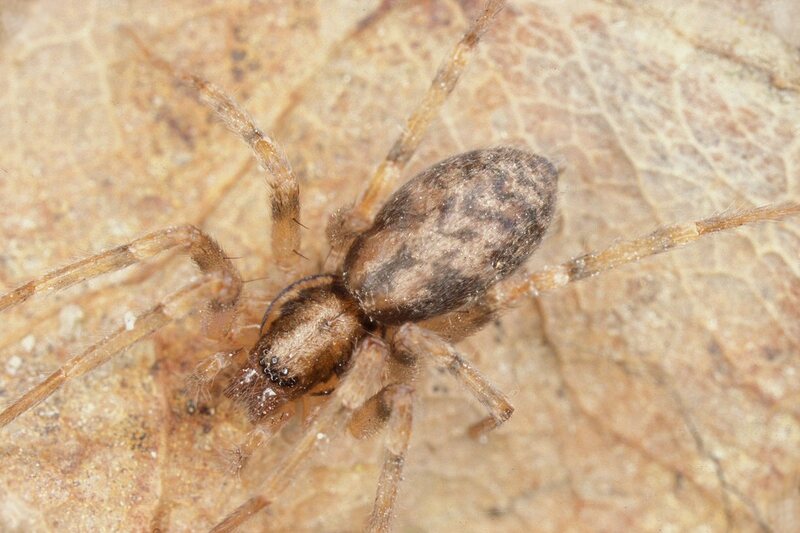 Characters of genus: These spiders are the largest representatives of the family in the region. The eye group is wider than in tte remaining genera and therefore the spiders resemble species of Clubionidae.